The College is hosting a Movie Night on Wednesday 3rd April in the Phoenix Suite. A buffet supper and drinks will be served prior to a screening of the film ‘First Reformed’ starring Ethan Hawke and Amanda Seyfried. There will be a discussion led by Dr Peter Byrne which is approved for 1 Internal or External CPD credit. This event is complimentary with your conference registration however booking is essential. Please contact Jennie Dalton jdalton@irishpsychiatry.ie to reserve your place. On the occasion of the College 10th Anniversary, Council approved the awarding of Honorary Fellowships and Fellowships. A ceremony will take place at the conference venue to award 14 of your colleagues with fellowships and two honorary fellowships. Fellowships give special recognition with distinction to members of the College honouring their contribution to the progress, achievement and success of the College in particular. Honorary Fellowships recognise significant contribution to the College and psychiatry in Ireland to those who are not members of the College. The College of Psychiatrists of Ireland Annual General Meeting will be held on Thursday 4th April at 5.15pm in the Castleknock Hotel. The agenda includes reports, from the President, Vice-President, Treasurer(including audited accounts to year end 31st October 2018), Dean of Education, Director of Communications and Public Education and the Director of Professional Competence. Come and join us at our celebratory black tie gala dinner, it promises to be a fantastic night with music from the Camembert Quartet. Tickets include a drinks and canape reception followed by a four course meal and dancing! Let us celebrate the College reaching 10 years! This milestone conference is a welcome opportunity to reflect on the first 10 years of our College. In Thursday morning’s opening session, we will hear from some of the individuals who have been instrumental in navigating the College to its position today – a provider of world class training and professional competence. Thursday’s sessions are completed by our Fellowship Ceremony, an important occasion where those who contributed to the founding of the College will be deservedly recognised. We must also remind ourselves of the most important, consistent contribution to the College, made freely by our members: our time, hope and expertise. The conference programme looks to the future, with sessions exploring potential developments through both lectures and panel discussions. The premature mortality for those with Severe Mental Illness is shocking. How can we apply our specialist knowledge and use that of others to drive this down? Treating early in any illness is critical and for most mental illness this means interventions for Youth Mental Health. Along with our evolving understanding of autistic spectrum disorder and the interaction with common comorbidities, potential pharmacological treatments are also evolving. Social technologies have transformed our communications, but what are the clinical implications and impact on development? There are principles common to all effective treatments for Personality Disorder. How we can all use good clinical trials, which need not be industry funded, to push into that better future? There are many firsts for this conference. Our speaker, Prof Pat McGorry from Melbourne, travels the furthest distance to be with us. Thursday afternoon offers the widest choice of parallel sessions of our conferences to date. Wednesday evening’s Movie Night hosted by Dr Peter Byrne is another conference first, as is our Singing Workshop – guaranteed to lift spirits! I’d like to thank all who have committed to this special conference. The Speakers and Chairs are giving generously of their time. Well done to the many Trainees who have submitted posters. The Conference Academic Committee has done trojan work in putting all the elements together to create a stimulating, enjoyable and educational programme. Finally, a special thanks to Prof Mary Cannon and Ms Miriam Silke, who manage to combine inspiration with hard work. “Mighty oaks from little acorns grow”. Well, the College may not yet be mighty, but it is now a sturdy sapling and I’m optimistic enough to buy a hammock to hang from future large branches. ‘First Reformed’ is a brooding, thriller-drama centred around Ernst Toller (Ethan Hawke), a troubled priest of a small, historical church in upstate New York, who starts to spiral out of control after a soul-shaking encounter with Mary (Amanda Seyfried) and her husband Michael, an unstable environmental activist. Consumed by thoughts that the world is in danger and motivated by the church’s lack of action, Toller embarks on a perilous self-assigned undertaking with the hope that he may finally restore the faith and purpose he’s been longing for in his mission to right the wrongs done to so many. Mental Health Reform is becoming a major world-wide priority. One of the key reasons is the belated recognition that so much of the lost potential and economic damage that results from mental illness has to do with its timing in the life cycle. The inclusion of mental health in the UN sustainable development goals, the creation of a global mental health movement and serious political and advocacy campaigns, plus the World Economic Forum’s support for mental health reform have all highlighted youth mental health as a key focus. The design and scaling up of new integrated youth mental health models of care in a growing number of countries has established a base camp for reform, for new research possibilities and for transformational change in mental health care. These developments will be described and their relevance to Ireland will be discussed with the audience. Followed by a Panel Discussion – How can we close the gap between needs and services for young people in Ireland? Build a [Professional Competence] Bear! Just like the Build A Bear workshops where children assemble every element of a toy bear; this workshop asks participants to ‘build’ their ideal Professional Competence Scheme. We want to hear your ideas about how professional competence might look, and operate, for doctors in Ireland. In the year that the structure and operation of Professional Competence Schemes undergo a review directed by the Medical Council, it’s appropriate for us to ask you, as the doctors who make up our professional competence scheme, to take a step back and look with fresh eyes at the scheme. What works? What doesn’t? What could be improved, reformed, transformed, introduced? Ultimately, what elements would ‘build’ your ideal PCS, providing meaningful support to us as doctors engaged in lifelong learning, and facilitating us to deliver the best possible service and treatment to our patients? From the whacky to the wise, we welcome all your suggestions! The outcomes of this workshop will inform our work with the Medical Council and the other Training Bodies, to further develop the Professional Competence Scheme in years to come. So please, don’t hold back! Come along to the workshop and give us your opinions – we’re all (furry) ears! 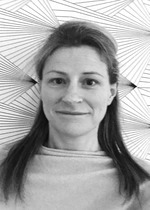 Dr Caragh Behan is trained in psychiatry, surgery and health economics. This talk and interactive workshop will look at the healthcare system we work in as doctors and attend as patients. If the definition of madness is making the same mistakes over and over, are the current reforms reorganising deckchairs on the Titanic? What would our ideal system look like? Media/Communication skills training session with communications experts Q4PR to conference delegates ONLY. This brief training will offer a limited number of delegates(TBD) an opportunity to hone their communication skills for local media opportunities which can enable advocacy for those with mental illness and highlight the role of psychiatry in mental health services. Communication skills are core to a psychiatrist’s work and as one of Ireland’s leading communications companies Q4PR has a track record of helping professionals sharpen skills in this area. Personality disorder is associated with high morbidity and mortality, having a major impact on health and society. It has long been stigmatised, often considered untreatable. People with personality disorder are often hard to reach and challenging for clinicians to work with. There are no specialist personality disorder services in the Republic of Ireland. With this in mind Dr Evelyn McCabe will give an introduction to assessing, formulating and treating Borderline Personality Disorder with evidence based treatment: Mentalization Based treatment. She will present practical guidelines as to how general Psychiatrists can deliver effective treatments in the non-specialised clinical setting. If socially deprived areas have higher rates of psychosis, do they also have worse outcomes? Can we predict who among the UHR will transition to psychotic disorder? in pregnancy and breastfeeding and then we will work through some clinical cases that highlight some of the key issues and principles in managing perinatal cases. In this talk I will describe the presentation of ASD in adulthood, including the potential overlap and confusion with related disorders impacting social interaction and communication. I will describe the common comorbidities and the service needs for this population, and give consideration to how existing services might work together to best meet the needs of this population. In view of an increase in prevalence, along with an emerging interest from industry in developing ‘treatments’ for this condition, there are many ethical as well as conceptual considerations that add to the complexity of this topic. Personality disorder (PD) is a common condition in the general population and is found with increasing prevalence in mental health services and prison populations. General psychiatrists and community mental health teams have to offer treatment and yet many practitioners feel they lack the skill. The types of personality disorder that cause considerable concern in services are borderline (BPD) and antisocial personality disorder (ASPD). Their mental health needs are neglected. A number of specialist psychosocial treatments will be discussed in this presentation with an emphasis on their commonality rather than difference. An outline of principles followed in psychosocial approaches will be presented and the evidence base summarised. This evidence has given rise to basic principles to be followed in the treatment of people with PD who are unable to access specialist intervention. These are organised as structured clinical management/general psychiatric management. The clinical skills required to implement this generic treatment in general mental health services are already within the competence of staff. In the autumn years of my career, I can’t help but reflect how little extra we have to offer our patients compared to when I joined the profession 30 years ago. While it is true that basic Neuroscience knowledge has advanced, applications of this to mental health are often simplistic and add nothing to the treatment and care that we provide. There’s little glamour to clinical trials and scientists have traditionally looked down their noses at those who conduct them. Industry trials are complicated by understandable conflicts of interest. But, academically-conceived and independently conducted trials are a way that all of us can work to push forward knowledge about what works and what doesn’t. Irish Psychiatry has a great track record in this area, and you, and we, should do a lot more. Despite the large body of evidence indicating cannabis use as risk factors for psychotic disorders, sceptics continue to argue that changes in prevalence and patterns of cannabis use have not lead to an increase in the Incidence of Psychosis. I shall present today the first evidence from a European Collaboration study that frequent cannabis use and especially the use of high potency types contribute to explain variations in Incidence rates of Psychotic disorders across Europe. Much effort to prevent psychosis focusses on outreach clinics for those with the “At risk mental State”. However, this approach will never reach more than a fraction of those at risk. Instead, it is time to move towards universal primary prevention. In the absence of a marker to reliably identify those who will later develop psychosis, the obvious route is to diminish exposure to factors which increase the risk of psychosis; such an approach is common in medicine e.g. the reduction in smoking related disorders achieved by campaigns about the risks of tobacco smoking. The best-established risk factors for psychosis are obstetric events, childhood adversity, migration, being brought up in a city, adverse life events and cannabis use. Some are proxies for an unknown causal factor (e.g. urbanicity), while preventing others (e.g. childhood adversity) is beyond our powers. Cannabis use is the environmental component cause for which the evidence is strongest, and recent reports indicate that a significant proportion of cases of psychosis in many countries could be prevented if no-one smoked high potency cannabis. Is it not time now to initiate public education about the risks of the heavy use of cannabis, especially of high potency varieties? PROFESSOR MARY AIKEN is a cyberpsychologist and Adjunct Associate Professor at the Geary Institute for Public Policy, University College Dublin. She is a lecturer in Criminology and Research Fellow at the School of Law, Middlesex University, Fellow of the Society for Chartered IT Professionals and a Global Fellow at the Wilson Center, a leading US institution for in-depth research and dialogue to inform actionable ideas on global issues. She is an Academic Advisor (Psychology) to Europol’s Cyber Crime Centre (EC3), member of the INTERPOL Specialists Group for Crimes against Children, and sits on the advisory board of the Hague Justice Portal Peace, Justice & Security Foundation. Mary is the former Director of the RCSI Cyberpsychology Research Centre at the Royal College of Surgeons in Ireland. Mary has advised at national and European level in policy debates at the intersection of technology and human behaviour and has published and spoken internationally on this topic. Her current research interests include Internet psychology, AI, human factors in cybersecurity, Healthtech, cyber behavioural profiling, youth protection and age verification online, along with the impact of technology on the developing child. In 2016 Mary was named as one of the top 50 most inspiring women in technology in Europe. In 2017 she was inducted into the Infosecurity Europe Hall of Fame, in recognition of her contribution to the information and cybersecurity sector. In 2018 she led the successful campaign for an Irish Digital Age of Consent of 16. Marys work as a cyberpsychologist inspired the CBS primetime television series CSI: Cyber. Her recent book, ‘The Cyber Effect’ was selected by the Times as a ‘book of the year’ in the Thought category, and was listed in the 2016 top twenty science books by Nature the International Journal of Science. PROFESSOR ANTHONY BATEMAN MA, FRCPsych is Consultant to the Anna Freud Centre, London; Visiting Professor University College, London; Honorary Affiliate Professor in Psychotherapy University of Copenhagen. He developed mentalization based treatment with Peter Fonagy for borderline personality disorder and studied its effectiveness in research trials. Adapted versions are now being used in multi-centre trials for antisocial personality disorder, eating disorders, and drug addiction. He was an expert member of National Institute for Clinical Excellence (NICE) development group for treatment guidelines for Borderline Personality Disorder in UK and was Chair of the National Guideline Development Group for Eating Disorders. His NHS clinical services are recognised by the Department of Health as a national demonstration site for the treatment of personality disorder. He was President of the European Society for the Study of Personality Disorders (ESSPD) from 2012-2015. He received a senior scientist award from British and Irish group for the Study of Personality Disorder in 2012 and in 2015 the annual award for “Achievement in the Field of Severe Personality Disorders” from the BPDRC in the USA. 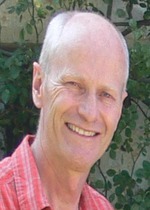 He has authored 14 books including Psychotherapy for Borderline Personality Disorder: mentalization based treatment and Mentalization Based Treatment for Personality Disorder: a practical guide (2016) (with Peter Fonagy), numerous book chapters, and over 150 peer reviewed research articles on personality disorder and the use of psychotherapy in psychiatric practice. ROB HOWARD – I am an academic Old Age Psychiatrist at University College London. After a couple of years in General Medicine, I trained at the Maudsley Hospital, where I worked until 2015. I’m interested in the development and testing of new treatments for our patients and in education and training in Psychiatry. I enjoy the challenge of a difficult study and the incorrigibility of Jack Russell terriers. 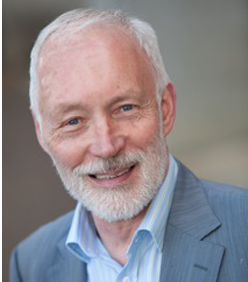 PROFESSOR PATRICK MCGORRY AO (MD, PhD, FRCP, FRANZCP, FAA, FASSA, FAHMS) is the Executive Director of Orygen and Professor of Youth Mental Health at the University of Melbourne, and a Founding Director of headspace. DR CARAGH BEHAN is a Consultant General Adult Psychiatrist with a PhD in Mental Health Economics. She is committed to using the language of health economics to advocate for people with mental illness to policymakers and service planners. She has worked in early intervention in psychosis in both urban and rural settings and has a special interest in translational research and the difficulties faced by mental health services in translating complex interventions into practice. DR JUSTIN BROPHY is currently a semi-retired Consultant Psychiatrist in General Adult Psychiatry. He is Chair of the Forum of Irish Postgraduate Medical Training Bodies. He was recent Clinical Advisor to Ireland’s ‘National Office of Suicide Prevention’ and is a former ECD and CD of HSE Dublin South East / Wicklow Mental Health Services. He is a Fellow of the Royal College of Psychiatrists, and a Director of ‘Jigsaw’, a national youth mental health service charity. He was the Foundation President of the College of Psychiatrists of Ireland. 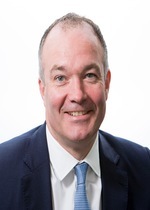 DAVID COTTER, Professor of Molecular Psychiatry, RCSI, is Consultant Psychiatrist in Beaumont Hospital, a Vice Dean with the College of Psychiatrists of Ireland, and Vice-Chair of the Academic Faculty of the CPsychI. HELEN COUGHLAN – A social worker by profession, Helen has extensive clinical and academic experience across the public, private and NGO sectors. Helen worked as a clinical social worker in mental health and later in palliative care for over ten years. For three years, she held the position of lecturer in social work with the School of Social Work and Social Policy in Trinity College Dublin, where she continues to provide adjunct lecturing on the area of youth mental health. Later, she worked with Headstrong, the National Centre for Youth Mental Health (now Jigsaw), supporting their work in developing youth mental health services across Ireland. Helen currently works as a Clinical Research Fellow in the Department of Psychiatry, Royal College of Surgeons in Ireland, and has a particular interest in qualitative research on early adversity and youth mental health. She has been actively involved in the international youth mental health movement for the past ten years and held the position of Chairperson of the ACAMH Special Interest Group in Youth Mental Health from 2012-2015. She was the lead writer of the International Declaration on Youth Mental Health, which she launched at the 2nd International Youth Mental Health Conference in Brighton in 2013. 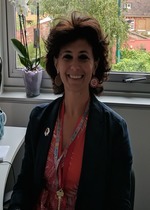 DI FORTI, MARTA is an MRC Clinical Scientist Fellow and Honorary Senior Lecturer at the Dept of Social, Developmental and Genetic Research, Institute of Psychiatry, and Honorary Consultant Adult Psychiatrist, Lambeth Community Team, South London and Maudsley NHS Foundation Trust. The clinical population she cares for comprises young individuals suffering their first episode of psychotic disorders. Two thirds of her patient group have used cannabis before their psychotic onset. Therefore, her current clinical position plays a crucial role in inspiring ongoing research. In 2004 Marta was part of a successful grant application that supported the development of the Genetics and Psychosis (GAP) study. The GAP study collected data on 700 first episode psychosis patients and 400 controls. This study has so far generated 26 papers, as well as 8 PhDs including her own. Marta is particularly interested in the role of cannabis use in psychosis and was the first to show that use of high potency types of cannabis e.g. “skunk” carries a higher risk of psychosis than use of traditional types. Dr Di Forti is now studying the interaction between cannabis use and genes predisposing to schizophrenia and how cannabis changes the epigenome. In 2012, Marta was very pleased to be awarded the title of Visiting Professor at her alma mater, Palermo Medical School. She is an enthusiastic teacher and tries to stimulate in others, the same passion for research that she herself feels. HARRIS, ADAM is a 24-year-old social entrepreneur and Founder-CEO of AsIAm.ie, an organisation working to build an Ireland where every person with Autism can “live and succeed as they are”. AsIAm.ie provides a central online hub for the Autism community which aims to inform and empower those affected by the condition, their families and supporter. Through online engagement with users, AsIAm creates training programmes and campaigns to engage various aspects of Irish life to understand Autism better and to become more Autism friendly. Adam founded AsIAm.ie based on his experiences of living with Aspergers Syndrome, a condition on the Autism Spectrum. Adam spent 3 years in Special Education, 5 in mainstream primary education with the support of an incredible Special Needs Assistant and completed Secondary School without the support of an SNA. As Adam benefited from early intervention, he felt the need to do something to give back to the Autism community in Ireland and felt that a poor online presence and a society which does not truly understand the condition were key elements of the challenges people with Autism face, which needed to be addressed. Today, Adam is a frequent contributor in media and at conferences home and abroad, around Autism issues and the need to have a whole-community approach to Autism. A Social Entrepreneurs Ireland Awardee, Adam sits on the Board of Specialisterne Ireland and a number of statutory consultative committees. HILLERY, JOHN was a Consultant Psychiatrist in the services for people with intellectual disability run by Stewarts Care, Dublin and St. John of God Kildare Services as well as the HSE Mental Health Services at Tallaght. He resigned in February this year. He is a former President of the Medical Council and the International Association of Medical Regulatory Authorities. Dr Hillery was also a member of the Council of the Pharmaceutical Society of Ireland and of the Independent Monitoring Group of A Vision for Change (the national policy on Mental Health). 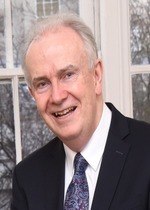 He is currently the President of the College of Psychiatrists of Ireland, having formerly been the Director of Communications and Public Education. HINDS, CATHERINE is a Consultant Psychiatrist at the Croydon Adult Perinatal Mental Health Service. This is part of the South London and Maudsley NHS Foundation Trust. The service covers the London borough of Croydon where there are approximately 6,000 births per year. Dr Hinds is based at the Bethlem Royal Hospital where there is a Mother and Baby Unit, that she works closely with. Dr Hinds is participating in the Royal College of Psychiatrists’ Perinatal Masterclass. This is a course designed for perinatal psychiatrists to learn to establish, develop and deliver perinatal services according to the NHS England strategy. Their community team is rapidly expanding with recent ‘Wave 2’ funding obtained to increase capacity and scope of practice. Dr Hinds started out with a degree in Human Sciences at Wadham College, University of Oxford. She completed her medical training at St. George’s, University of London and did her foundation training in Brighton and Croydon, part of the South East London Deanery. Dr Hinds then went to New Zealand and Australia and completed her Psychiatry Specialist training with the Royal Australia and New Zealand College of Psychiatrists. She came back to London in 2015, and obtained her specialist registration via the CESR route. She has recently come out of the perinatal period herself and lives in West Dulwich with her husband and two children. LYNE, JOHN is a practising Consultant Psychiatrist in North Dublin Mental Health Service and Honorary Senior Lecturer with Royal College of Surgeons in Ireland. His clinical and research interests include early intervention in psychosis and he has completed doctoral level research on negative symptoms of psychosis. He is authored on over 50 peer reviewed publications and is currently Editor-in-Chief for Irish Journal of Psychological Medicine, the official research journal of the College of Psychiatrists of Ireland. 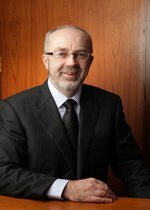 MARTIN, LORCAN is Director of Professional Competence in the College of Psychiatrists of Ireland. He is a Consultant in General Adult Psychiatry with Longford/Westmeath Mental Health Services. He trained in Trinity College and with the Eastern Health Board as was. His special area of interest is greater integration of mental health services into the community and he has been instrumental in developing many new initiatives in this regard including a Primary Care Liaison Service, a service for deaf clients, an ongoing public mental health awareness programme and a consultative group so that service users/carers may be involved in service development. He has presented these projects and others at a number of international conferences. Dr Martin has also been involved in training programmes in the area of mental health for a number of statutory and voluntary agencies, and also has a particular interest in the clinical training and examination of non-consultant hospital doctors working in psychiatry. 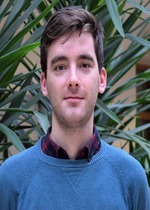 HEALY, COLM is a PhD candidate in the Department of Psychiatry within the Royal College of Surgeons in Ireland. His PhD is under the supervision of Professor Mary Cannon and is investigating psycho-social risk factors and outcomes in young people with psychotic experiences. Today he will be presenting data from the Growing Up In Ireland study, looking at the relationship between changes in self-concept and risk of psychotic experiences in adolescence. MCDONALD, COLM (MB BCh MRCPsych PhD), is Professor of Psychiatry at NUI Galway, and Consultant Psychiatrist at Galway Roscommon Mental Health Services. He completed his basic clinical training in Dublin and then moved to the Institute of Psychiatry in London, where he completed his clinical and research training and received his PhD. He is Vice Dean of the NUIG Deanery for postgraduate basic specialist training in psychiatry, Director of the Clinical Neuroimaging Laboratory at NUI Galway and co-director of the Centre for Neuroimaging and Cognitive Genomics (NICOG). His clinical research program focuses on investigating neurobiological and neuroimaging abnormalities associated with major psychotic and affective disorders, as well as health services research. He has authored 190 original publications in peer reviewed journals. MONGAN, DAVID graduated in Medicine from Queen’s University Belfast in 2012. He is a Specialist Registrar in Psychiatry. In 2017 he was awarded a fellowship to undertake a PhD in the Royal College of Surgeons in Ireland with Professor David Cotter and Professor Mary Cannon as part of the Health Research Board/ Wellcome Trust Irish Clinical Academic Training programme. His clinical and research interests lie in the aetiology and prevention of mental disorders such as psychosis. MCGRANE, JOSEN is currently working as a Senior Registrar in Linn Dara Child and Adolescent Inpatient Unit as part of Dual Higher Specialist Training in Child and Adolescent Psychiatry and General Adult Psychiatry. Josen graduated with a 1st Class Honours in English and Sociology from Trinity College, Dublin following which he studied Medicine in UCD. He then trained in General Adult Medicine in Adelaide and Meath Hospital, Tallaght, and St. James’ Hospital where he obtained his membership of the Royal College of Physicians in Ireland. He completed his Basic Specialist Training in Psychiatry as part of the RCSI Deanery and obtained membership of Royal College of Psychiatrists and the College of Psychiatrists in Ireland. He is a part-time psychiatry lecturer to Medical Students in UCD and Trinity and a part-time researcher under the supervision of Professor Mary Cannon in RCSI. He is a member of the College of Psychiatry Special Interest Group in Youth and Mental Health. He is also a member of the Board of Directors of the charity, First Fortnight, which organises an annual art and culture mental health festival in order to reduce stigma, promote mental health awareness and discussion, and provide art psychotherapy to marginalized communities. O’CONNOR, KAREN is a Consultant Psychiatrist and the clinical lead for RISE the EIP service in South Lee Mental Health Services, Cork. 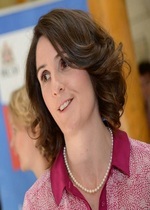 She graduated from UCC in 2004 and completed her basic and higher specialist training in Psychiatry in Dublin. She completed a fellowship in Youth Mental Health and Early intervention for Psychosis in Melbourne, Australia. She has published in the areas of early intervention and medical education and is a former Chair of the Trainee Committee of the College of Psychiatrists of Ireland. O’DONOGHUE, BRIAN is a Consultant Psychiatrist with the Early Psychosis Prevention and Intervention Centre (EPPIC) at Orygen Youth Health and a Senior Research Fellow at Orygen, the National Centre of Excellence in Youth Mental Health and the University of Melbourne. Brian graduated from medicine from University College Dublin, obtained a Masters degree in Epidemiology and Public Health from the University of London and a PhD from UCD. 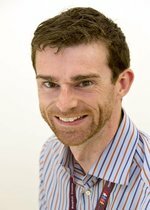 Brian was awarded an NHMRC Early Career Fellowship for 2018 – 2021 and he is an associate editor of the Irish Journal of Psychological Medicine. Brian’s areas of interest in research include youth mental health, the physical and sexual health of young people affected by mental health disorders, epidemiology and the reduction of coercive/ restrictive interventions. Brian is currently an investigator on four RCTs in the area of early psychosis. POWER, EMMET is a clinical research fellow at the Royal College of Surgeons in Ireland and the Health Research Board’s ‘YouLead’ Doctoral Programme in Youth Mental Health Leadership, under the supervision of Prof. Mary Cannon and Prof. David Cotter. He is currently investigating early life stress and later psychological symptoms. 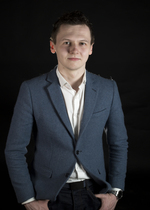 He is a BST 3 trainee with the College of Psychiatrists of Ireland on the UCD/St. John of God training scheme. He graduated from medicine at the Royal College of Surgeons in Ireland in 2015; whilst there he participated in the RCSI Research Summer School with Prof. Cannon & Dr. Mary Clarke. His published work features in national and international journals. He has presented his work at the International Association of Youth Mental Health conferences in Bristol and Montréal, as well as presenting his work at national and regional meetings. POWER, PADDY (MB BCh, DCH, MRCPsych, FRANZCP, MD) trained in adult psychiatry, initially in Ireland, then Australia, and completed training in child & adolescent psychiatry in London. He joined the Early Psychosis Prevention and Intervention Centre EPPIC in Melbourne in 1993 and in 1998 became its Deputy Medical Director. In 2000, he moved to the South London & Maudsley NHS Trust to establish an early intervention service called the Lambeth Early Onset (LEO) service. In March 2010, Dr Power moved to Dublin to establish a youth mental health service (18 – 25 year olds) at St. Patrick’s University Hospital. Dr Power’s research and publications include epidemiology of psychosis, RCTs of antipsychotic medication, CBT and psychosocial interventions, suicide prevention interventions, youth mental health, effectiveness of community treatment orders, cannabis & psychosis, and health economic evaluations. Dr Power was R&D Lead for the Borough of Lambeth. He set up the London Early Intervention Research and Services Networks and co-hosted the 2006 IEPA meeting in Birmingham. 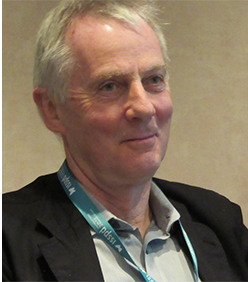 He has been an executive board member of the International Association of Young Mental Health, was chairperson of the (Youth Mental Health) SIG of ACAMH, Ireland, and is chair of the Early Intervention in Psychosis Clinical Advisory Group of the College of Psychiatrists of Ireland. 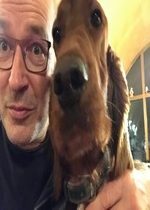 WOODBURY-SMITH, MARC is a Clinical Senior Lecturer and Honorary Consultant Psychiatrist in Newcastle upon Tyne, UK, a post he has held for the last 20 months. After completing undergraduate training in Medicine in Dundee, he trained in psychiatry in Southampton and Cambridge, UK, and completed postdoctoral work at Yale University. 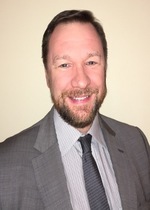 After qualifying, he worked as an Assistant and then Associate Professor at McMaster University, Canada, engaging in CIHR funded research on the genetics of ASD whilst also working as a clinician with children and adults with ID and ASD. He is an associate editor for the Journal of Autism and Developmental Disorders and also holds the post of Associate Investigator at The Centre for Applied Genomics in Toronto. He is particularly interested in developmental psychopathology and its etiological underpinning, genetic or otherwise. WEBSTER, JEANNINE is a registered midwife, an activist, campaigner for women’s choice in healthcare and advocate for improving mental health services in Ireland. She is a founding member of the Midwives Association of Ireland. 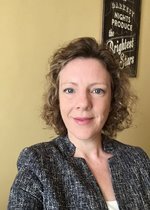 Since 2011, Jeannine has served as a REFOCUS committee member in the College of Psychiatrists of Ireland, who aims to inform and influence the training and experience of future psychiatrists. She undertook her BSc in Midwifery as a mature student in 2007, fulfilling her long held ambition to become a midwife. She completed her MSc studies in Health and Social care at GCU Glasgow in 2018, the subject of her study being the views and experiences of midwives who routinely screen for domestic violence. Arising from her own experience of PND, Jeannine is passionate about the concept of holistic maternal wellbeing in pregnancy and has shared her experience on various forums with her presentation ‘From Mother to Midwife, my experience of PMH’. On a personal level, Jeannine is a mother of 3 children, and a carer to her middle child James who since the age of 15 has experienced mental health problems and has a diagnosis of Schizoaffective disorder. Jeannine and James have spoken publicly about their experience of accessing mental health services, particularly the transition from adolescent to adult services and the difficulties they encountered. BROPHY, JUSTIN is currently a semi-retired Consultant Psychiatrist in General Adult Psychiatry. He is Chair of the Forum of Irish Postgraduate Medical Training Bodies. He was recent Clinical Advisor to Ireland’s ‘National Office of Suicide Prevention’ and is a former ECD and CD of HSE Dublin South East / Wicklow Mental Health Services. He is a Fellow of the Royal College of Psychiatrists, and a Director of ‘Jigsaw’, a national youth mental health service charity. He was the Foundation President of the College of Psychiatrists of Ireland. 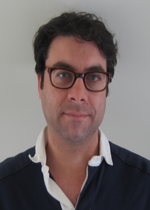 BYRNE, PETER is Consultant Liaison Psychiatrist at the Royal London Hospital, and lead consultant for general hospital psychiatry across four east London general hospitals. He graduated from University College Dublin in 1988, and completed all his medical and psychiatric training in Ireland before his first NHS consultant appointment in 1999. A former Director of Public Education for the Royal College of Psychiatrists (RCPsych), he was awarded the Public Educator of the Year Award by the college in 2012. He has published on general hospital psychiatry topics and on stigma-discrimination, the Psychiatry Textbook Clinical Cases Uncovered (2010) and is joint Editor with Professor Alan Rosen on a recent Wiley-Blackwell book, Early Intervention in Psychiatry. He has been Associate Editor for BJPsych since 2011, and edits the Extras section of the Journal, in addition to reviewing submissions in his areas of interest. As a result of professional and research interests, building on lifelong interest in the Arts, he is a founder member of the Scottish Mental Health Arts and Film Festival, enjoying its 12th year in 2019. He became public mental health (PMH) lead for the Royal College of Psychiatrists in 2014; the same year he was appointed visiting professor at the University of Strathclyde. He has placed premature mortality and excess physical morbidities of people with severe mental illness at the centre of PMH activities with co-written national guidelines on smoking and substance misuse. He is a founder member of Equally Well (www.equallywell.co.uk) a national coalition of organisations working at multiple levels to reduce this mortality; he remains a member of their clinical advisory panel. CANNON, MARY is Professor of Psychiatric Epidemiology and Youth Mental Health in the Department of Psychiatry, Royal College of Surgeons in Ireland and is a consultant psychiatrist in Beaumont Hospital and a Principal Investigator in Trinity College Institute of Neuroscience. Her research interest is in early risk factors for adult mental disorders, with a particular emphasis on psychotic symptoms and disorders. She is Chair of the Academic Faculty of the College of Psychiatrists of Ireland and Co-Chair (along with Drs Helen Keeley and Michele Hill) of the newly-formed CPsychI Special Interest Group in Youth and Student Mental Health. She was a member of the governmental Youth Mental Health Taskforce whose recommendations were published in December 2017 and are available at https://health.gov.ie/blog/publications/national-youth-mental-health-task-force-report-2017/. Prof Cannon is Principal Investigator on an EU funded programme of research into psychotic symptoms in young people and is a Co-Investigator on the HRB funded YouLEAD PhD programme on youth mental health. DONOHUE, GARY is a clinical psychologist, Professor of Psychology at NUI Galway, and Director of the Center for Neuroimaging and Cognitive Genomics (NICOG). Gary’s research focuses primarily on understanding and addressing those aspects of disability in psychosis related to cognitive deficits. In 2016 he obtained a European Council fellowship for his work on immune aspects of cognitive function in schizophrenia (The iRELATE program). In 2018, together with colleagues from NUI Galway, UCD, and RCSI, he established the HRB collaborative doctoral program in Youth Mental Health Research (the YOULEAD program). In addition to seeking a better understanding of the biological basis of psychosis, his current interests include treating problems of social cognition and social function in early psychosis. He continues to be a mediocre golfer and has never learned to dance properly. FLANNERY, WILLIAM is the Vice President of the College of Psychiatrists of Ireland. 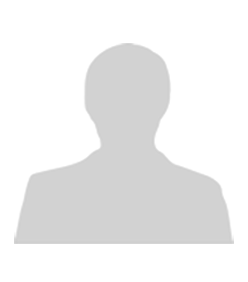 From 2013 to 2017, he was Chair of the Postgraduate Training Committee. He is a Consultant Psychiatrist in Addictions Psychiatry, having previously worked in the Midlands and is now based at the Mater Hospital and the National Drug Treatment Centre Hospital in Dublin. GALLAGHER, LOUISE MB, BCh, BAO, MRCPsych, PhD, FTCD, is Chair of Child and Adolescent Psychiatry, TCD, Director of Research in the TCD School of Medicine and a Consultant Child and Adolescent Psychiatrist in the health service. She leads an autism and rare neurodevelopmental disorder research group in Trinity College Dublin focused on clinical translational research. The work in her group has contributed to the understanding of genetic causes of autism, particularly the relationships between genetic risks, endophenotypes and symptoms. Her current work is focused on biomarker identification in association with the study of common and rare genetic risk factors and mental health comorbidity in the context of neurodevelopmental disorders. She is a member of several large international research consortia researching genomics and neuroimaging related to neuropsychiatry and a large European consortia, AIMS-2-TRIALS that is focused on the identification of biomarkers for autism and clinical trials of new therapies. The clinical service provides neuropsychiatric assessment to children and adolescents with mental health comorbidities and autism. 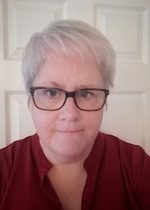 She facilitates training and awareness raising with health professionals and actively advocates through the College of Psychiatrists for improved mental health services for autistic people. 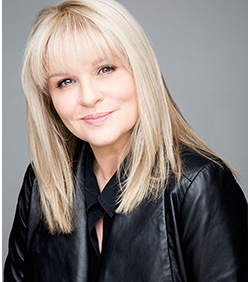 GALLAGHER, PÁRAIC is an award winning story-teller; a multi-media journalist and communications professional with over 20 years’ experience in public relations, journalism and broadcasting. Prior to joining Q4PR, Páraic was political correspondent for Newstalk for 13 years. He currently has a range of clients across the public and private sectors. On a daily basis he deals with clients as diverse as Tusla, Diageo Ireland, the Citizens’ Assembly and Irish Wind Energy Association to name but a few in a range of communications. With an understanding of major policy issues, the media and political landscape, he leads media training and preparation for Oireachtas committees for a range of Q4PR’s clients. HALLAHAN, BRIAN is a Consultant Psychiatrist at University Hospital Galway and Senior Lecturer at NUI Galway. Research interests include neuroimaging in bipolar disorder and psychosis, clinical trials in bipolar disorder and psychosis of biological treatments including novel treatments such as Essential Fatty Acids and Scopolamine and health service research including the operation and effects of the MHA 2001 on service users and mental health staff and clinical profiles of individuals who die by probable suicide. HILL, MICHELE is a Consultant Psychiatrist working in the Student Health Department in UCC. She has extensive sub-specialty training in research, early intervention, and psychotherapy and was the Associate Director of Schizophrenia Research in Massachusetts General Hospital and Harvard Medical School during her time in the USA. She is a firm believer in the importance of early intervention and stage appropriate holistic care in young people with mental distress and mental illness. LEECH, ALAN is one of Ireland’s leading tenors and choral practitioners. Since graduating from UCC in 1995 he has been in consistent demand both as a performer and choral specialist. As well as chamber music Alan has also performed with most of Ireland’s leading orchestras and choirs in oratorio and concert performances. Alan has a true passion for education and choral development. He is much in demand as a voice teacher, and has been teaching singing at the Leinster School of Music & Drama since 2003 where he also lectures in Aural Skills, Repertoire in Context and Choral Conducting for Griffith College’s H Dip in Music. Alan also teaches Voice at undergraduate level in Mater Dei Institute, a college of University College Dublin. In 2015 Alan was invited to lecture both undergraduate and postgraduate Montessori teachers in the Creative process of Music at St. Nicholas Montessori College. Mixing natural pedagogic skills with conducting and singing is what sets Alan apart. Working with 3rd level students, adult choirs, older people and especially with young singers, both primary and post primary, in one of the widest ranging repertoires of all the genres is fulfilling, stimulating and rewarding. MAC DHONNAGÁIN, NEIL is a Psychology PhD student in University College Dublin and a former member of the Jigsaw Dublin City Youth Advisory Panel. His project focuses evaluating the Jigsaw brief intervention at the primary care level, under the supervision of Prof. Barbara Dooley and Dr. Aileen O’Reilly. The project is funded by the Health Research Board. 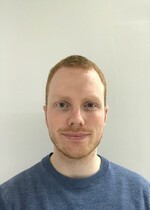 Neil completed the BA in Psychology from UCD in 2016 and a Summer Scholarship with the Evidence-Based Public Health School in Ludwig-Maximilians Universtät in Munich in 2018. His research interests are in youth mental health as a public health issue, along with applications of youth mental health interventions in primary care. MCCABE, EVELYN MB BCh BAO MRCPsych. Evelyn is a Consultant Psychiatrist in General Adult Psychiatry, with a special interest in Psychotherapy. She works with HSE, Ireland. In 2012 she developed and ran the first Mentalization Based Therapy treatment programme in the Ireland and has extensive experience in developing and running MBT programmes and Mentalizing skills training. She is clinical lead of a specialised MBT team embedded within the general adult psychiatry multidisciplinary team. The team delivers a Mentalization Based Therapy program for Borderline Personality Disorder, Attachment disorders and Psychiatric disorders co-morbid with Cluster B personality disorders to public patients in the West of Ireland. Evelyn is specialist psychotherapy tutor and educational supervisor at the College of Psychiatrists of Ireland, NUI Galway Deanery. She is an educational supervisor at the ICGP. She is a tutor on the MSc in Psychoanalytic Psychotherapy, Trinity College Dublin. She is an honorary senior clinical lecturer in psychiatry and psychotherapy at NUI Galway. She trained in Psychoanalytic Psychotherapy at the Irish Institute for Psychoanalytic Psychotherapy/ Trinity College Dublin. She was trained in Mentalization Based Treatment and as an MBT Supervisor by Professors Anthony Bateman and Peter Fonagy. She has extensive experience supervising individuals and teams in MBT nationally and internationally. She is an associate tutor with Réseau Francophone TBM at the Université de Genève, actively involved in delivering MBT trainings through French in Geneva and Paris. She is an associate trainer in MBT, Anna Freud National Centre for Children and Families and University College London. MURRAY, ROBIN is Professor of Psychiatric Research at the Institute of Psychiatry, Psychology and Neuroscience, Kings College, and indeed has spent most of his working life there apart from one year at NIMH in the USA. His particular interest is in psychosis. 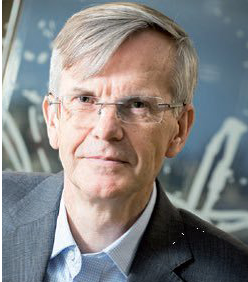 He was one of the first to suggest that schizophrenia was in part a neurodevelopmental disorder, and he and his colleagues have contributed to the understanding that environmental factors such as obstetric events, drug abuse and social adversity dysregulate striatal dopamine and thus increase the risk of psychosis; he is currently most interested in gene-environmental interactions. He is also involved in testing new treatments for psychotic illnesses, and cares for people with psychosis at the South London and Maudsley NHS Trust. He has written over 800 articles, not all of them boring! He is the most frequently cited psychosis researcher outside the USA, has supervised 72 PhDs and 12 MD Theses, and 40 of his students have become full professors. He was elected a Fellow of the Royal Society in 2010 and received a knighthood in 2011. O’NEILL, AISLING is a postdoctoral researcher, currently investigating the neurobiological abnormalities associated with psychotic experiences in adolescents, under the supervision of Prof Mary Cannon in RCSI. She recently completed her PhD investigating the neurophysiological and neurochemical effects of acute cannabidiol in early psychosis, under the supervision of Dr Sagnik Bhattacharyya, in the Institute of Psychiatry, Psychology, and Neuroscience, KCL. Aisling’s main areas of scientific interest include the neural mechanisms underlying psychotic mental illnesses, and the role of cannabinoids in these processes. ROCHE, ERIC is a Consultant in General Adult Psychiatry in the Cluain Mhuire Community Adult Mental Health Service in south Dublin. He graduated from UCD and completed his Higher Specialist Training in Ireland. Dr Roche was awarded a HRB fellowship and completed his PhD with UCD while working in the DETECT Early Intervention in Psychosis Service in Blackrock, Co. Dublin. His research interests include language and functioning in early psychosis and youth mental health. 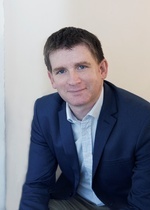 Dr Roche developed his interest in education and teaching while working as a tutor with RCSI and through his involvement as a trainer with the Irish College of Psychiatrists. He is an Associate Editor with the Irish Journal of Psychological Medicine. SADDLIER, MATTHEW MB MSc; MRCPI; MRCGP; MPCpsych; FFESM graduated from UCD in 1999. After completing higher specialist training in General Practice he entered the St. John of God training scheme in psychiatry. 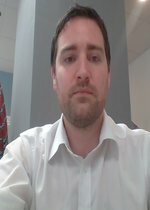 Since completing higher specialist training in psychiatry he initially worked as a Consultant in General Adult Psychiatry and works as a Consultant in Old Age Liaison Psychiatry in the Mater Misericordiae and Connolly Hospitals. Dr Sadlier has a keen interest in the intersection of medicine and politics and has presented before various Oireachtas committees on a number of areas. He is currently Clinical Director of General Adult and Psychiatry of Old Age in Dublin North City Services. He is a former president of the Irish Medical Organisation. SCULLY, MIKE is a graduate of University College Cork. He trained in Cork, Kerry and Dublin and completed specialist training in London. He was appointed Consultant Psychiatrist with HSE Addiction Services in 2005. He led the Inreach Addiction Team at Cloverhill and Wheatfield prisons between 2005 and 2017. He is currently acting Clinical Director for HSE Addiction Services in CHO 7 and leads a clinical team at the HSE National Drug Treatment Centre. He has been involved with the College of Psychiatrists of Ireland since its foundation. SILKE, MIRIAM is Chief Executive of the CPsychI and originally from Galway. She was previously the Project Manager for the merger of the three organisations that became the CPsychI and before that was Manager of the Irish College of Psychiatrists. Prior to that, she worked in Guinness Ireland (and was a trained taster in the QA Lab) and before that the Royal College of Radiologists in the UK. She has an Advanced Diploma in Management Practice and a BSc (Hons) in Business from Ulster University. 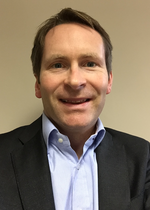 SWANWICK, GREG Prof, is the current Dean of Education with the College of Psychiatrists of Ireland and a Consultant Psychiatrist in Psychiatry of Old Age, based at Tallaght University Hospital. TYSALL, ANGELA is the National Lead for Open Disclosure in the HSE Quality Improvement Division and manager of the National Open Disclosure Office. Angela has a background in nursing and midwifery with clinical nurse specialist roles in minor illness and ear care. She is an extended Independent Nurse Prescriber, has 5 years’ experience as senior sister, team leader and acting manager of a nurse led NHS Walk-in Centre and 6 years’ service management experience in a GP out of hours service in the North West of Ireland. Angela is committed to the area of patient safety and working together with patients and service users to improve the experience of people accessing our health and social care services. She takes part in and contributes to many national workgroups which have a patient safety agenda. She believes in the power of kindness and compassion towards all those accessing and working in our health and social care services. ED PRESENTATIONS OF CHILD & ADOLESCENT MENTAL HEALTH PATIENTS TO AN EMERGENCY DEPARTMENT OVER 2 YEARS: WHAT ARE CAMHS PATIENTS PRESENTING WITH? Thursday & Friday in the Coffee & Posters area. The Professional Competence team is always happy to help with your queries about CPD credits, diaries & deadlines. Please come to the Helpdesk and talk to Lorna, Louise or Jennifer. Registration for this event is also available for non-members. Please contact Jennie on 01-6618450 or jdalton@irishpsychiatry.ie for registration details.